each one beautiful, bespoke and individual to you and the feelings you will like to capture. 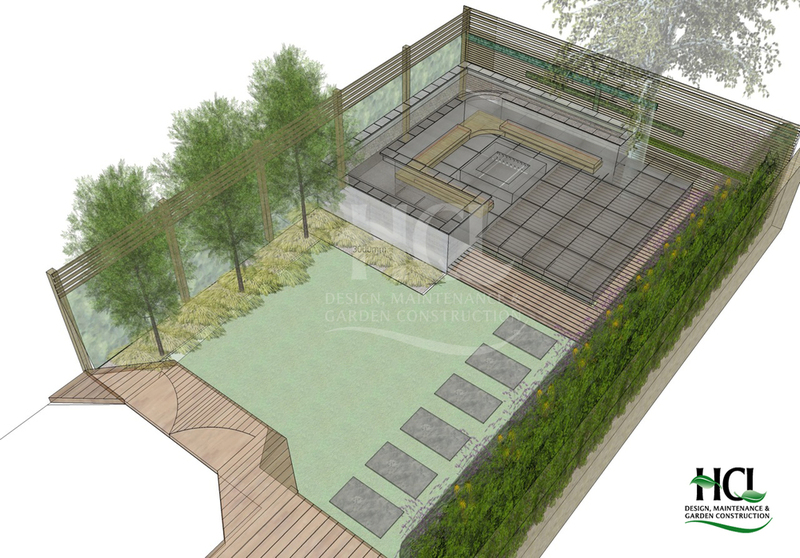 Our garden design process begins with an initial free of charge client /site visit, where we will run through our extensive portfolio to help you decide what style you want your garden. Most urban designs can be broken up into individual elements such as hard standing, (paving or decking) lighting and fixed seating (possibly with under seat storage). We find it's helpful for clients to be able to see the different options available and to see how they work in gardens before committing them to their own design. From the initial visit a proposal letter of all the points raised will be sent, this will outline the design costs and the budget for the build of the garden. If you choose to work with us on the design for your garden the next step will be to come and take measurements. We will produce sketch work in the form of elevation drawings, it's at this stage that we can run through further concept ideas and any alterations to ensure you will be delighted with your finished design. 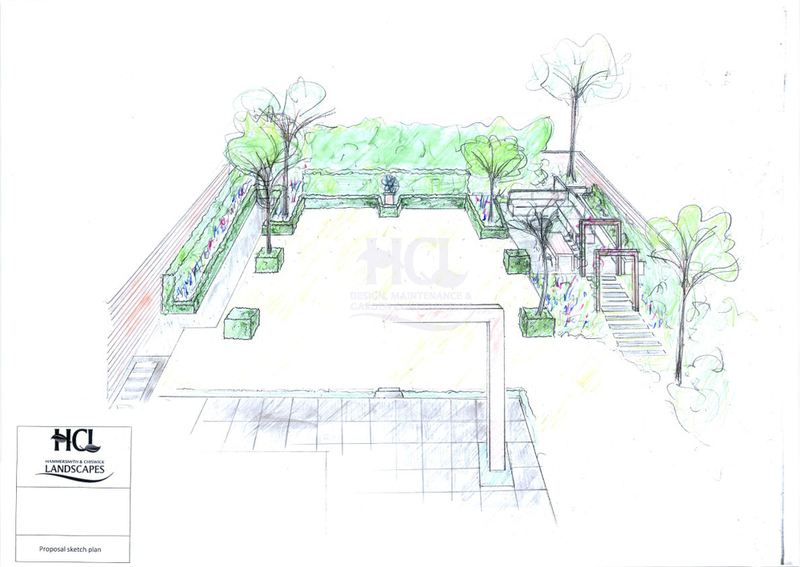 You will receive a hand drawn or a CAD design, showing a full plan of the proposed garden which will include detailed drawings of any complex elements. A detailed work plan and quote for the build will be provided. The quote will be broken down into the individual elements of the design such as paving, raised planting, irrigation and water features. This allows you to view the entire break down of the quote and makes it easier to understand how their budgets have been spent in the garden.